A luxurious, newly refurbished, 2 storey townhouse situated in the heart of Portstewart on the ever popular Promenade with its host of excellent Restaurants, Cafes and Boutiques. The accommodation is presented to a high quality for an enjoyable and comfortable stay in the bustling seaside resort and the beach and world famous golf courses are a short distance away. There is plenty of public transport for exploring the entire fabulous North Coast. The Townhouse is bright and airy and really comfortable - perfect for couples, families, business travellers or golfers. The townhouse is gas heated and works on a two-tired system which allows the property to be heated differently on each floor. It has WiFi and Sky TV. 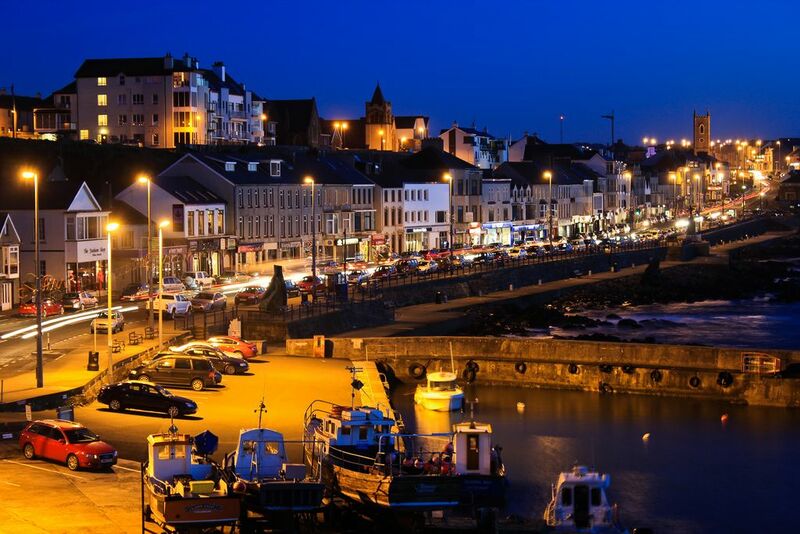 There are plenty of choices to eat and drink on the Promenade or further afield in the ever popular village of Portrush. Public car parking is available directly outside the front door and if this is not available additional car parking is available only a very short distance walk away (2 minutes).